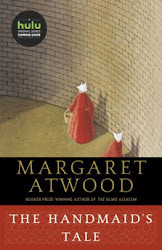 Before I get to this week's selection, I want to share news about a summer book club from Talbot's. I like their program of bringing in a book and getting a book. Click the link above for more details. 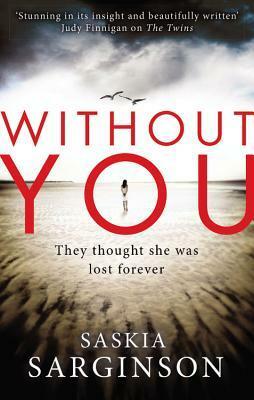 Today I'm featuring an upcoming read, Without You by Saskia Sarginson, borrowed from the library. It was April when I drowned, a month after my seventeenth birthday. We were out at sea when the sky darkened to black and a storm blew up out of nowhere. We worked fast to get the sails down and start the engine. At the tiller, Dad tried to hold the boat steady. The engine strained against huge waves, as we wallowed and rolled. There was a creak of fibreglass, and water washing over the deck. We'd never been out in anything as big. I should have been afraid. Except I didn't believe that I was going to die. It wasn't just that I had faith in Dad's sailing; I was angry with him, and my rage made me feel superhuman. There are boys fishing for crabs off the quay. I stop dead in the sunshine, blinking and uncertain. Then it's OK because it's nobody I know. Just townie kids here for the summer holidays. They're squatting next to buckets, poking at crabs they've caught on lines baited with bacon rind, strangers with pale skin and funny accents. I find the prologue and first chapter openings very intriguing, which makes me want to know more about the narrator and her story. I'm looking forward to reading this new-to-me author that I discovered on another blogger's site.